1) Fuzzy had a good time this month with activities. 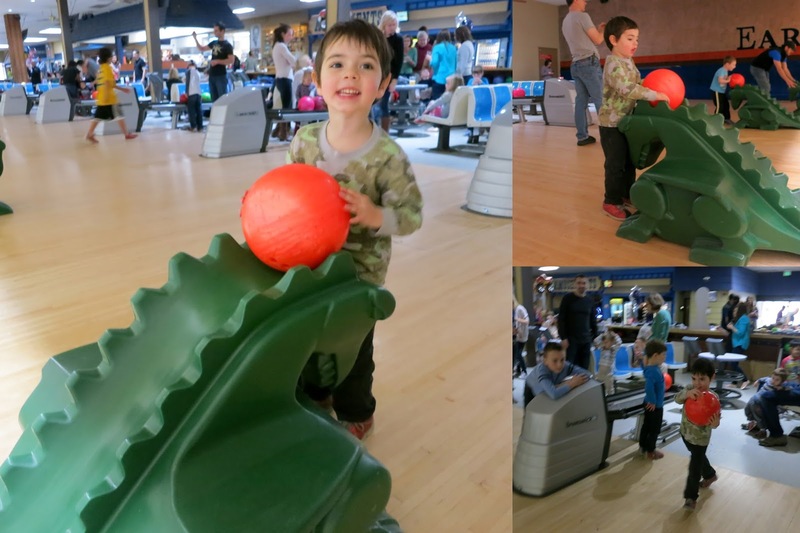 We went to his best friend's bowling birthday party, where he hurled the balls with great enthusiasm and very little aim. 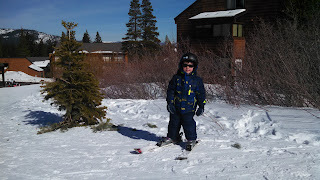 We also went up to Tahoe for some skiing, and put Fuzzy into his first pair of skis for a lesson. Kid seemed pretty thrilled. 2) Fuzzy and Sprout at the playground, on airplane and fire engine rockers, respectively. Some bigger kids got on behind Sprout. Fuzzy turned to them and said, "That's my bwother Sprout. He'll hit you in the face!" Then, with a giant smile on his face, he repeated it for emphasis. "Wight in the face. He'll hit you! Boom!" Meanwhile, Sprout was angelically rocking and not hitting anybody, but I had to admit, it was a fair warning. 3) On the other hand, on a different day, I overheard the following exchange between Fuzz and a six-year old girl in the sandbox, who had made some sort of remark to Sprout. "Hey! That's my baby bwother, stop bein' ruuude to him!" 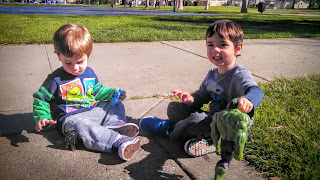 4) We were at Target buying band-aids, and I got Fuzzy a box of Star Wars ones (Sprout got Paw Patrol). They way they clutched those little boxes, it was like I'd gotten them the very best presents ever. Over and over down the aisles, I heard some variation of the following refrain: "Hout band-aid! Paw Patol!" and "Mama, mama, I want to show my Star Wars band-aids to Daddy!" 5) Finally, two months to the day after we got back from vacation, Fuzzy went to sleep without my presence in his room. Sadly this turned out to be an aberration and not a trend. 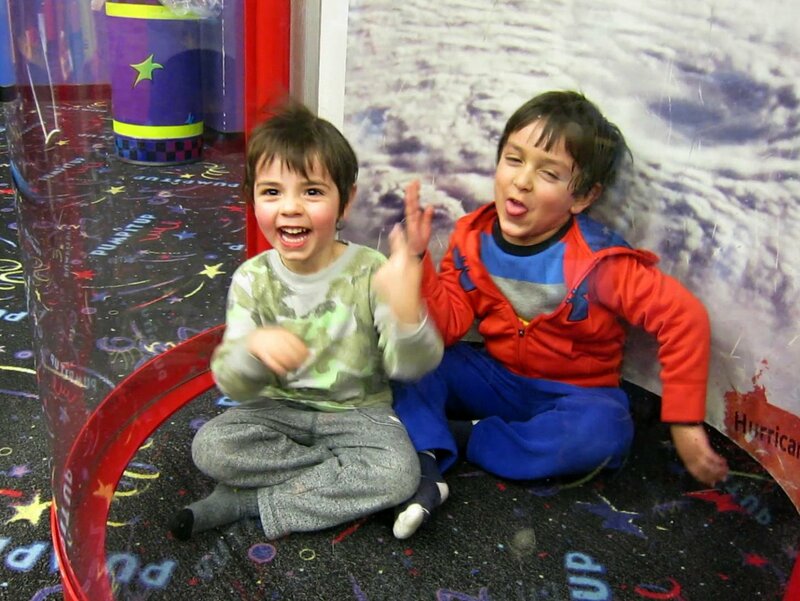 6) Fuzzy is just now understanding that toddler cartoons are asking for his participation. Before when the characters turns to the screen and asked a question or suggested a particular movement, he would just stare at them blankly. Now he gets super involved, waving his arms around and shouting the correct answer loudly.